Users with customization access can add their own pages to a portal. This is done by either clicking the New Page icon, which is the last item in the navigation menu, or by right-clicking an existing page in the Navigation menu and choosing New Page. The navigation menu is shown in the following image. 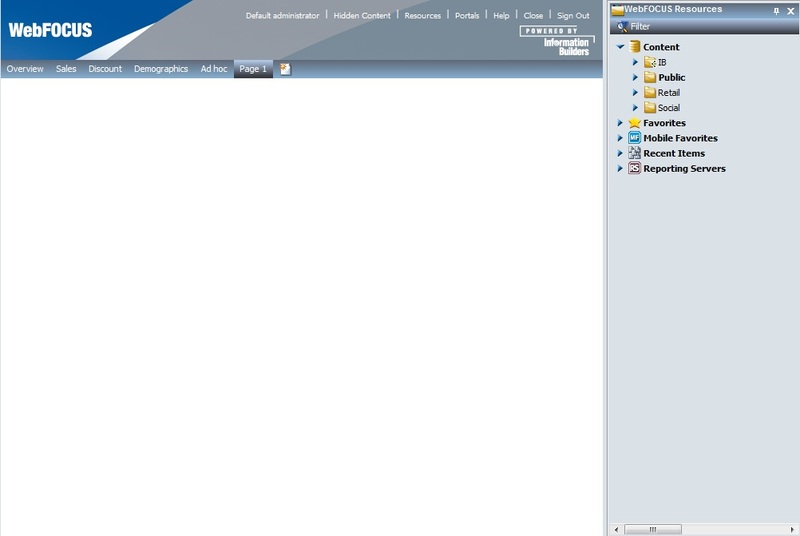 When a new page is created, the WebFOCUS Resource Tree opens, as shown in the following image. You can start adding content to the new page.